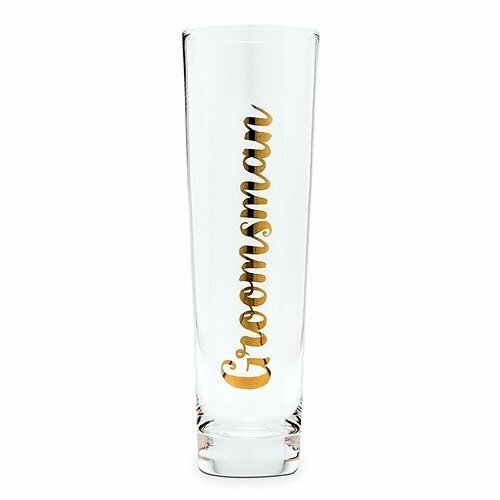 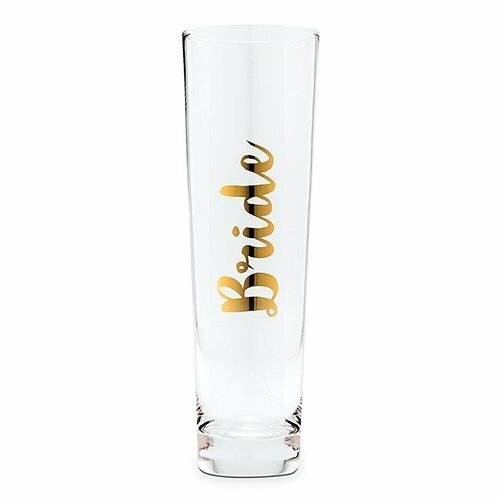 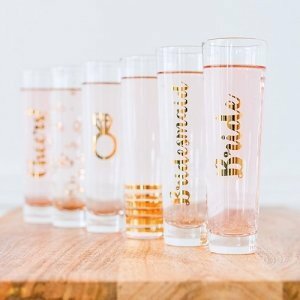 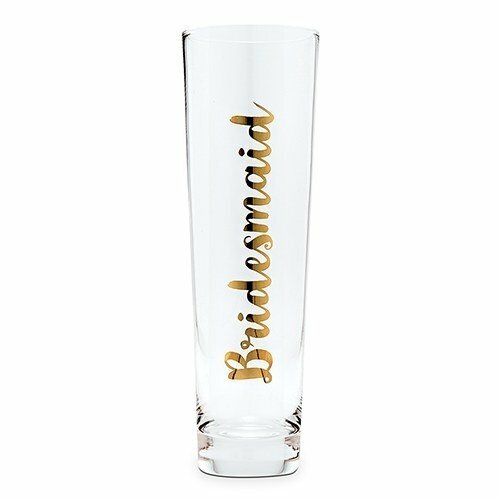 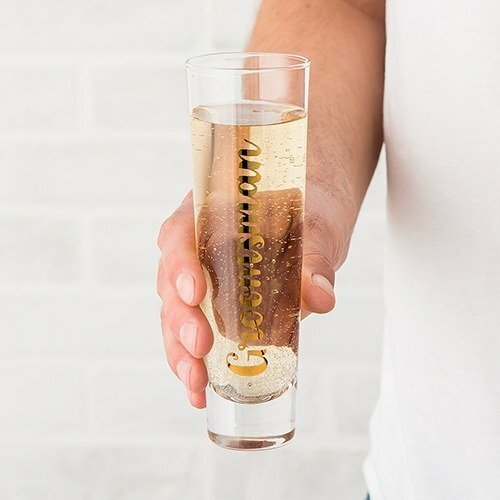 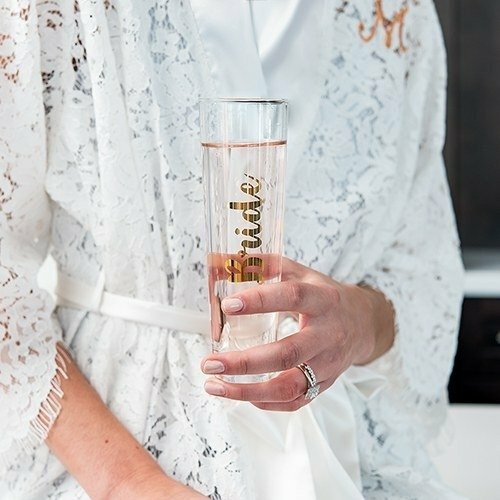 Get celebration ready with this unique stemless flute featuring "Bride", "Bridesmaid", "Groomsman" or "Groom" in glimmering gold calligraphy. 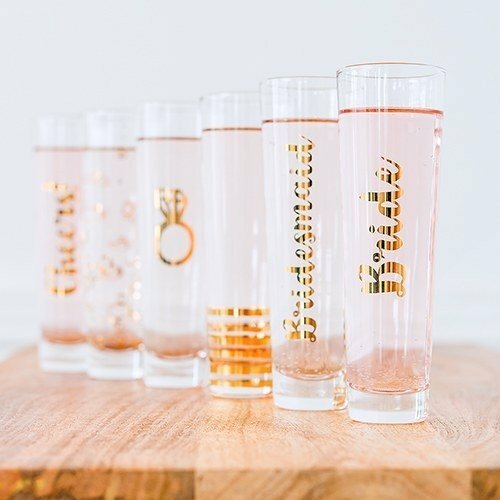 Whether filled with champagne, prosecco or any other bubbly, you'll be sipping pretty and everyone will know this party is all about you. 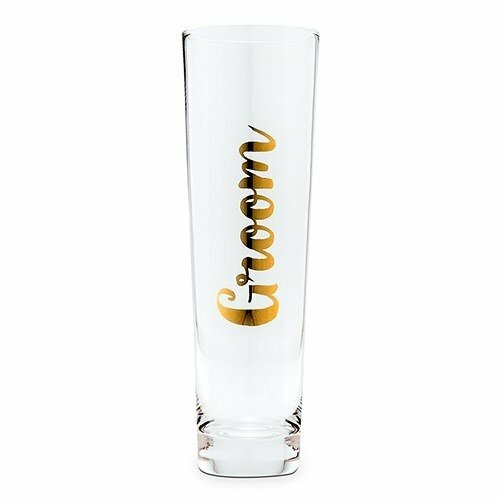 This distinctive stemless glass flute makes a great gift for your entire wedding party and will be a lasting memento from this very exciting time.